Versatile in the studio and onstage. 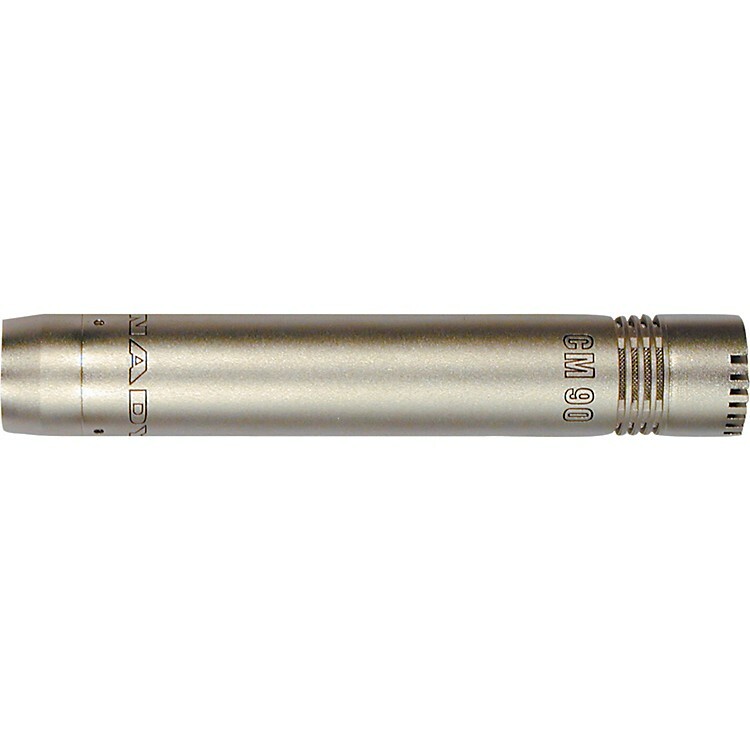 The Nady CM 90 Cardioid Condenser Mic is great for recording or reinforcing acoustic guitars, hi-hats, snares, piano, and horns. Perfect as an overhead drum mic. Features high sensitivity, extended smooth response, and very high SPL capability. Transformerless design yields minimal self-noise. Rugged turned-brass microphone housing and internal sub-assembly shockmount. Engraved markings. Requires 48V phantom power.